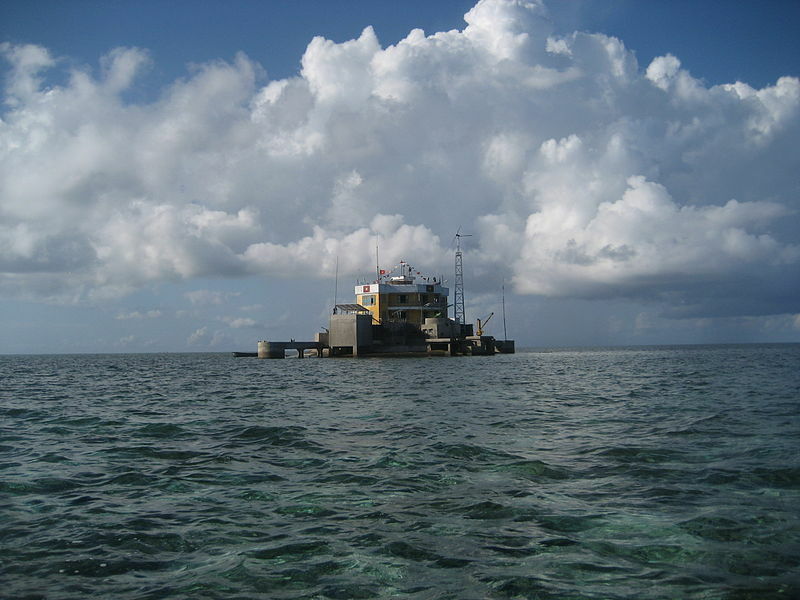 A lone outpost on Collins Reef in the Spratly Islands. Via Wikimedia Commons. One of the understated highlights at the recent Munich Security Conference was a roundtable attended by NATO officials and some very prestigious speakers. Among them was Singapore’s own jet set defense minister, Dr. Ng Eng Hen, to brief the attendees on the South China Sea. Singapore’s defense ministry published a transcript of Ng’s remarks on February 17 and it should be required reading for all China analysts. In the span of a few minutes, Ng explained why the South China Sea is such a big deal for Asia’s geopolitics and the ASEAN’s attempts to accommodate Beijing’s expansionist claims over the waters. This year’s roundtable had another luminary, the author and journalist Bill Hayton, called in to serve as a moderator. Hayton is one of the foremost authorities on the South China Sea and penned an accessible bestseller on the subject. What follows are excerpted text from Ng’s speech. These should serve as a convenient selection of the defense minister’s insights at the roundtable. I think we can start with the 11-dash line, the so-called progenitor of the nine-dash line, which was released first in 1947. It was released by the then-Republic of China Government, demarcated on a map based on historical claims that mainland Chinese researchers date back to the Qing dynasty. After the Communist Party of China (CPC) came into power, Chairman Mao Zedong agreed to remove two-dash lines that claimed the Gulf of Tonkin in 1952. Ng raises a superb factoid here. The trouble over the South China Sea really did begin with modern Chinese cartographers who invented a bizarre “11-dash line” that stretched and dipped far into Southeast Asia. Its reduction to a “nine-dash line” was a token gesture for the North Vietnamese nationalists, who were Beijing’s ally at the time. In the 1980s, the strategy had been articulated by the Commander of the People’s Liberation Army (Navy) (PLAN) ADM Liu Huaqing, who articulated the need to defend the waters between the coasts of mainland China and the ‘first island chain’. He mentioned the word ‘first island chain’, but ADM Liu was not the originator of that concept. Admiral Liu Huaqing was one of the most influential figures in Chinese military thought during the late 20th century. Ng credits him for promoting the idea of a “first island chain,” these are the countries near China’s eastern and southern coasts, all of whom are US allies. This meant China’s security was always at risk and the best countermeasure is to either encircle, harass, or neutralize the islands. However, Ng didn’t elaborate on Admiral Liu’s legacy: The PLAN’s aircraft carrier program, widespread adoption of advanced missile and submarine technology, and its transformation into a blue water force. So, since 2013, China has expanded the Spratly and Paracel Islands to an estimated about 3,200 acres. This has provided China the ability to monitor activities through the use of radar and communications arrays with reported ranges of up to 300km, and the ability to detect fighter aircraft and deploy anti-aircraft assets. What Ng left out is having an elaborate defensive network over the South China Sea keeps potentially hostile navies at bay. That, and the PLAN can secure a vital maritime trade route on its own. But it’s great that he shares how these “acres” divided among seven artificial islands form small bases that aren’t suited for offensive operations. The approach of ASEAN member states to the SCS issues has been a pragmatic one. Both ASEAN and China have affirmed the hope to complete the Code of Conduct (COC). The Declaration on the Conduct of Parties in the SCS, which ASEAN and China signed in Cambodia in 2002, took over five years. This frames our expectations for the COC. Since 2013, there have been at least 38 reported small-scale incidents between claimant states’ vessels. Many of these incidents have involved fishing vessels, reminiscent of the “Cod Wars” and the “Turbot War” in the North Atlantic, which were eventually resolved peacefully. China already fought the South Vietnamese over the Paracel Islands in 1974. 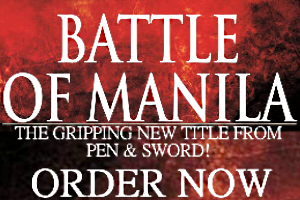 The PLAN did open fire on Vietnamese sailors in the Spratlys in 1988, killing dozens. For the past 30 years, however, aggressive patrols and harassment have been the preferred tactics used by Chinese vessels to discourage any intrusions near the Spratlys. As Ng explained, rather than escalate, ASEAN are hoping a soon-to-be negotiated “code of conduct”–a covenant first promoted in Manila last year–may appease China and create a lasting peace. Some commentators have proposed that China’s stance over the SCS is the parallel of US’ “Monroe Doctrine”. There are similarities but one vast difference exist – of course that is the entrenched dominance of the US through its 7th fleet and military bases in Hawaii and Guam. Comparing China’s behavior in its adjacent waters to the Monroe Doctrine is the most ominous takeaway from Ng’s briefing. If a proactive Chinese navy begins to re-arrange Southeast Asian affairs by force, this can trigger a handful of long and costly wars. The biggest risk is Vietnam going on the offense when its entire coastline is threatened by China’s territorial expansion. But even Brunei, Indonesia, Malaysia, and the Philippines may end up resisting this “Monroe Doctrine” and draw more world powers into the conflict. This is the ultimate consequence of the struggle for the South China Sea. Ng does emphasize the US Navy’s role as a regional peacekeeper thanks to its deployment across the Asia-Pacific. But what he doesn’t add is if enough anti-access weapons can discourage its movements then it won’t be able to keep the peace very well. Bad news for ASEAN.